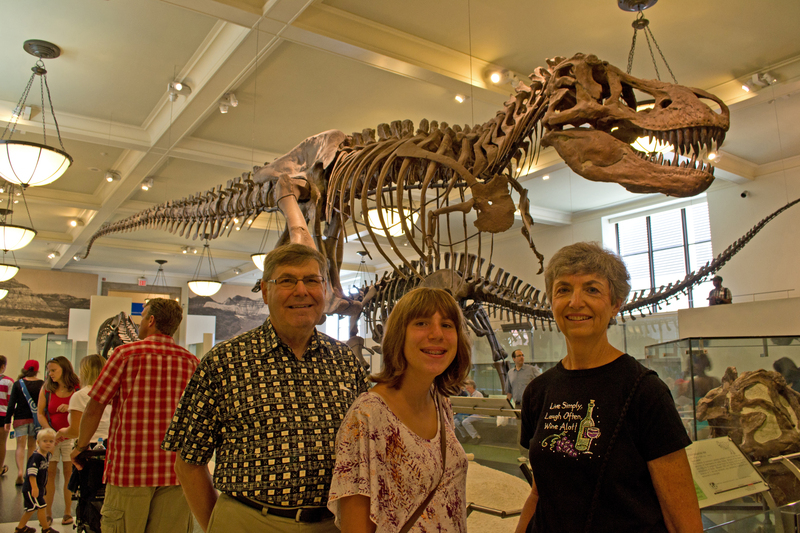 John, Kayla, and Kathy Peterson in the Hall of Dinosaurs at the Museum of Natural History. (Manhattan, August 3, 2012) The day dawned hot and humid. What day in August in New York City doesn’t? 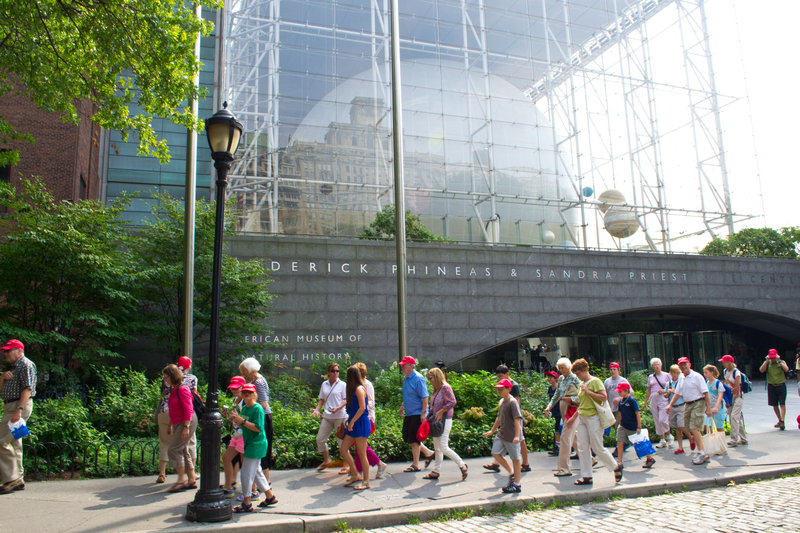 But our first day would be spent inside the spectacular Museum of Natural History on the Upper West Side. Five hours gave us barely enough time to scratch the surface of all this place has to offer, but it was cool, in every sense of the word. Holley Tate-Wheeler and Donna Trumbo waiting for the C Train. 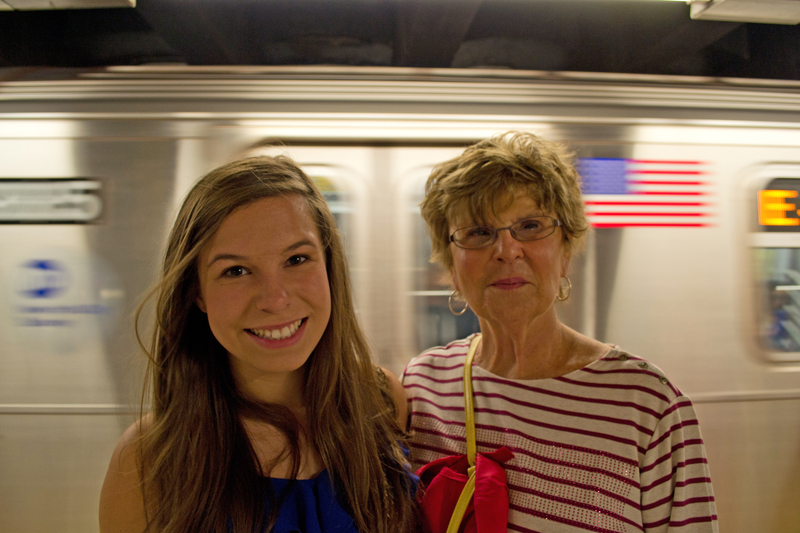 We took the subway like native New Yorkers to the museum’s front door. Road Scholar had arranged for admission, plus two special exhibits – Beyond Planet Earth, a look at space travel; and Creatures of the Night, about animals that glow in the dark. 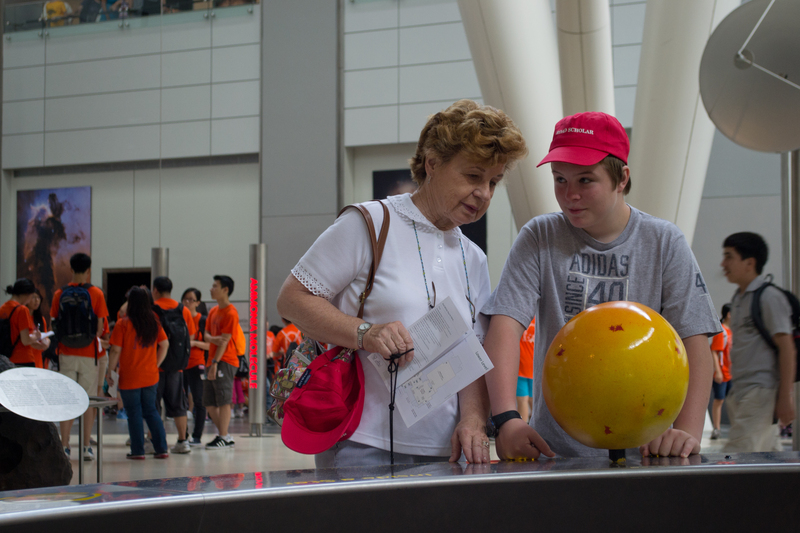 We also saw movies at the Hayden Planetarium and Imax Theater. It was a full day. Lucy Szrama and John Moore in the Hall of the Universe. Our guide, Ray Riordan, had prepared us by showing A Night at the Museum last night. It was a great introduction and kept us busy looking for Teddy Roosevelt, Dexter, and other characters – instant nostalgia, both for those of us who have been here before as schoolchildren, and those who had never been here before. 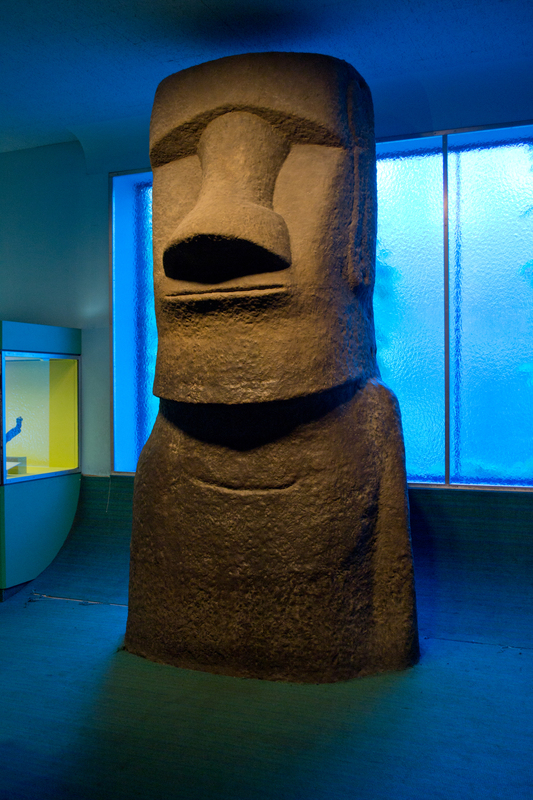 An old friend is waiting for you at the museum, but we won’t tell you where. It was fun roaming around the museum’s four floors – some unchanged for many years, others brand-new, teaching us new lessons in science and history that show how much we still have to learn. Our grandchildren did what young people do in places like this – they just enjoyed it, and told us where to find the best things to see and do. Finally, it was time to go, and head back to Times Square for a well-deserved dinner, followed by a lecture on Ellis Island and the Statue of Liberty by Tom Bernardin, a man with over forty years of experience as a park ranger, author, and historian. We’ll go to both places tomorrow, with his words and enthusiasm leading the way. ← The Mirror Resumes Publication!